Bringing together leading scholars of historical literacy from across the country, this day-long symposium investigates the surprising, often neglected roles reading and writing have played in the lives of marginalized Americans—from indigenous and enslaved people to prisoners and young children. Sponsored by the Trinity College Department of English, organized and co-edited by Christopher Hager and Hilary Wyss, “Hidden Literacies” will become a digital anthology later in 2019. 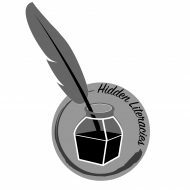 Hidden Literacies, Proudly powered by WordPress.